We’re finally here. After our long path through the object manager, automatic constructor dependency injection, class preferences, argument replacement, virtual types, proxy objects and code generation, we’re finally familiar enough with the object system to discuss the true replacement for Magento 1’s class rewrites — the plugin system. No lollygagging about, let’s get to it. Like all our tutorials we’ve prepared a boilerplate Magento module to get us started. Grab Ecommage_TutorialPlugin.zip and manually install it into your system. If you’re not sure how to manually install a module, our first article in the series will set you right. In this way, the developer can redefine any method in the class they wanted to. Class rewrites are popular because they allow a very specific redefinition of system functionality. There are, however, some problems with class rewrites. One is a verbose Magento 1 XML configuration syntax that makes it easy to misconfigure a rewrite. The second is each class is only “rewritable” by a single module. Once one module claims a method, that means other modules are out of luck. This creates conflicts between modules that need to be fixed manually by someone with deep knowledge of both Magento and the two conflicting rewrites. More than any specific issue though — the problem class rewrites solve (giving PHP a “duck-typing/monkey-patching system”) is not the problem they were used to solve (allowing third party developers to create modules and extensions that could listen for to and change any part of the Magento system). As this series has shown, old style rewrites still exist in the form of class preferences and argument replacement — but Magento 2’s plugin systems sets out to solve the actual problem extension developers needed solved. If you’ve never built a system like this before, you may hear listen to any method call and start having nightmares about performance characteristics. Fortunately, the Magento 2 core team has members who have built systems like this before, and they know exactly which software design patterns to apply to make this work. We’ll touch a little on the interceptor patten in use here, but a full discussion is outside the scope of this article. We’re going to jump right in and create a new Magento plugin. Assuming you’ve installed the sample module, try running the following command. "\nWe're going to call the `getMessage` method on the class " . "\n\n" .
' ' . get_class($this->example) . "\n"
Then, the command calls this Example object’s getMessage method with two parameters, and outputs the result. text comes from the definition of getMessage in Ecommage\TutorialPlugin\Model\Example. The purpose of this debugging code will become clear in a moment. We want to create a Magento 2 Plugin for the getMessage method of theEcommage\TutorialPlugin\Model\Example class. It’s inevitable that the larger community will start using the word “plugin” as a place-holder for “extension” or “module”, but in the language of the object manager, a “plugin” refers to a special class that’s listening for any public method call to another object. We say any public method, but that’s not quite accurate. If the public method uses the final keyword, or the class itself uses the final keyword, you won’t be able to use a plugin. Outside of that restriction, any class and public method is fair game, including your classes, Magento core classes, and third party classes. Once again, we’re creating a <type/> configuration. The name of the type should be the class whose behavior you’re trying to change. Under type is the <plugin/> node. Here, the name should be a unique identifier that distinguishes this plugin configuration from every other plugin configuration in the world. The name is freeform, but you should use some combination of module name and description to make sure the name is unique. Magento 2 convention dictates that this class’s short name should be \Plugin, although any class name will do. Jumping back to di.xml, the sortOrder attribute controls how your plugin interacts with other plugins on the same class — we’ll talk more about this later. A disabled attribute of true allows you to leave a plugin configuration in your di.xml, but have Magento ignore it. We include it here for completeness’s sake. and try running our program again. You’ll notice the behavior of getMessage remains the same. However, the object manager no longer returns aEcommage\TutorialPlugin\Model\Example object when we ask for aEcommage\TutorialPlugin\Model\Example type. Instead, we’re now dealing with an interceptor class (Ecommage\TutorialPlugin\Model\Example\Interceptor). While a full explanation is beyond the scope of this article, the interceptor pattern is how Magento has implemented their plugin system — and this is one of the side effects of that pattern. Whenever you see an interceptor class, you’re dealing with a class under observation by a Magento plugin. The class itself (Ecommage\TutorialPlugin\Model\Example\Interceptor) is automatically generated by Magento, and can be found in the var/generation folder. This is the same sort of code generation we saw with proxy objects. As you can see, the generated intercepter extends the originalEcommage\TutorialPlugin\Model\Example class, which means the interceptor object will behave the same as the original Ecommage\TutorialPlugin\Model\Example (except where it’s been extended to work with the plugin system). At the end of the day you shouldn’t need to think about interceptors. They’re just a class that sits between the programmer (you) and the original class we’re “plugging” into. 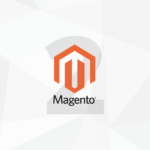 Interceptors are what allow Magento’s plugin system to work. Speaking of which, let’s take a look at exactly what plugins will let you do. and then run the command again. Congratulations — you just implemented your first Magento after plugin method. An after plugin method gets its name by concatenating the word after to the actual method name, with the whole thing camel cased. An after plugin method has two parameters. The first ($subject above), is the object the method was called on (in our case, that’s Ecommage\TutorialPlugin\Model\Example\Interceptor object). The second parameter ($result above) is the result of the original method call. Congratulations! You just used a plugin to change the value returned by the getMessage method. You’ll notice we used a hard coded string as an argument here, which means, even with systems like automatic constructor dependency injection, there’s no way to change this argument before the getMessage method gets called. That is, our debugging text in beforeGetMessage is printed out before the call to the real getMessage. Similar to after plugin methods, the before plugin method naming convention is the word beforeconcatenated with a camel case version of the original method, and the first parameter is the original object ($subject above). However, unlike the after plugin method, there’s no $result parameter. That’s because (in retrospect, obviously) we haven’t called our real method yet, so there can’t be a return/result value. A before plugin method does have additional parameters. These second, third (fourth, fifth, etc) parameters are a copy of the original method parameters ($thing and$should_lc above). These should match the parameters from the original method definition, including default values. The code above replaces the first argument ($thing) with the string 'Changing the argument'. It also passes on the value of $should_lc without changing it. Run our command with the above in place, and you should see the new argument (Changing the argument) used in the actual method call to getMessage. Result: hello changing the argument! As you can see, in addition to being able to take programmatic action before a method is called, the before plugin methods let us change the arguments passed into the method. The before plugin methods are slightly more dangerous that the after plugin methods. By changing the value of an argument, you may change the behavior of existing code in an undesirable way, or uncover a bug in a method that previously hadn’t surfaced. You’ll want to use extra caution when using before plugin methods, and make absolutely sure there isn’t another way to achieve your goal. There’s one last plugin listener type to cover, and that’s the around plugin methods. The before methods fire before, the after methods fire after, and the around methods fire during, or as a replacement to the original method. If we run our program the debugging echo calls should make the execution order clear. when you want the system to call the original method. This is a powerful technique. It also means you can cancel the call to the original method, and substitute your own return value. Give the following a try. You’ll notice that both the result to our getMessage method call has changed, and we’ve lost the debugging code that let us know the real getMessage ran. While the around plugin methods give you the power to completely replace a piece of system functionality, this also means that you’re responsible for making sure your new code is a suitable replacement for the code you’re replacing. While every developer and every team will need to forge their own path here, speaking for myself I’ll be treading lightly on the around plugin methods. However, where plugins really distinguish themselves from class rewrites is in the system’s ability to mesh together plugins that observe the same method. Magento 1 is rife with real world conflicts where two modules/extensions try to rewrite the same class, with confusing and disastrous results. Here, we’ve configured two plugins on the Ecommage\TutorialPlugin\Model\Example class, and each plugin has an after plugin method defined for the getMessage method. If we run our program with the above configuration (after clearing our cache), we’ll see the following output. We see that Plugin1 still has its after plugin method called. This means that state and behavioral system changes due to other plugin code still happen, but that one plugin’s results still win out. Value of $result: hello hola! As you can see, each after plugin method is aware of the return value from the other plugin. While not fool proof, the plugin system greatly reduces the surface area for potential extension conflicts, and gives end users a pure configuration approach (sortOrder) for solving conflicts on their own. While I can’t speak for other developers — after half a decade plus of building Magento extensions this sort of “public API” is a welcome addition to the platform. Knowing which methods you can safely use in a plugin, or even just call, is a big win for extension developers, and should help tremendously with the “new release of Magento causes fatal errors in my extension/module” problem. As to whether all extension developers respect this public API setting or not, that should be an “An Interesting Technically Obtuse Challenge™”. Before we wrap things up, there’s a few random caveats to mention that we don’t have time to dive deeply into today. Feel free to ask about the items below in the comments here, or at the Magento Stack Exchange if it’s technically in-depth. First, the interceptor class that makes this all possible is generated code, which means if the class you’re observing with a plugin changes — you’ll need to regenerate the interceptor. Next, if you fail to call the $procede() closure in an around plugin method, not only are you skipping a method call to the original class method, you’re also skipping any plugins that have a higher sort order. I’m not wild about this tradeoff, and I expect it to be a cause of consternation among early extension developers. Next, with plugins (vs. rewrites) you lose the ability to change the behavior of a protected method. Some will see this as a con (less flexibility), and some will see this a pro (respecting the protected access levels). It you need to change the behavior of a protected method, class preferences or argument replacement are more suitable tools.